The festival, which took place from 21 to 23 June in the Moscow's Museum-Reserve «Kolomenskoye», was the largest among such events in Russia and the biggest festival among those carried out in metropolitan areas. 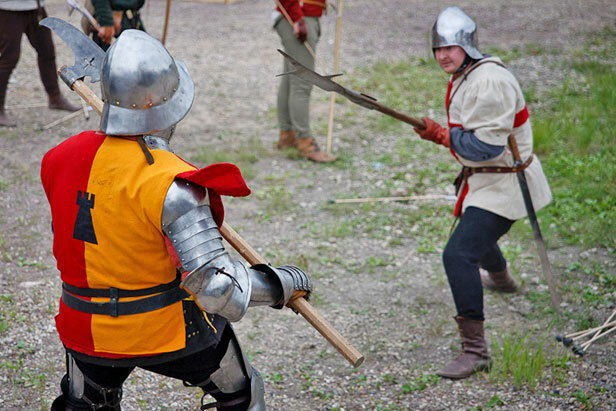 Along with the European Medieval Festival in Denmark, the reconstruction of the Battle of Tewkesbury (UK) and Grunwald (Poland), the festival Times and Epochs is in the first five largest historic festivals of the Old World, dedicated to the Middle Ages. The three days programme of the festival included historical parades, various performances and concerts, knights tournaments, representative fights of infantry groups of Russia, Europe and Horde of XIII-XVI centuries, foot combats, jousts, archery tournaments, duels of pikemen, medieval crafts and entertainment.